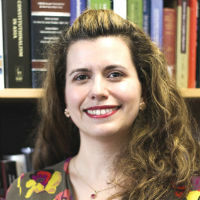 The unique Specialist LLM in International Human Rights at The City Law School allows students to explore how international law intervenes to protect human rights. The Specialism in International Human Rights Law is designed for students from all backgrounds who have an interest in the intersection between human rights and international law. It will enable students with this to develop a career in human rights law or to embark on policy-oriented careers in government and non-governmental organizations at the domestic and international level. The Specialist Master of Laws (LLM) in International Human Rights draws from the expertise of The City Law School's team of experienced human rights scholars. It gives you an opportunity to examine intellectually the subject from various angles - minority protection, human rights at times of war, the prosecution of international criminals, to name a few. This masters degree helps you appreciate and understand how international law intervenes to protect human rights and where the gaps are in international law. The Specialist Master of Laws (LLM) in International Human Rights provides the opportunity to study some of the most significant issues in international human rights protection facing the world today. You will have guidance and expert academic support to examine a number of important issues in international human rights protection law, including how the law of war and armed conflict protects the civilian, how minority protection is being regulated by international law, the remedies available in international criminal law, and the extent to which the rights of indigenous people are safeguarded by international law. These programmes are designed for international students who do not meet the required academic and English language requirements for direct entry. To prepare for this degree course, learn more about the Graduate Diploma in Law. Applications are now open and can be made through the links below. Late applicants run the risk that the course may be full after the initial round of offers has been made. Please note: At least one academic reference is required in order for us to assess your application. However, the admissions tutor may permit professional references if you have been out of higher education for a number of years. Study in the heart of legal London. modules to choose from across 12 specialisms. Learn from instructors who are world-leading researchers and who have extensive professional experience. *Fees in each subsequent year of study (where applicable) will be subject to an annual increase limited by the All Items Retail Prices Index. We will confirm any change to the annual tuition fee to you in writing prior to you commencing each subsequent year of study (where applicable). Scholarships are available for all Master of Laws (LLM) courses at City. See our range scholarships, prizes and loans that can help you pay for your course. For further information and ideas about funding your course, visit Financing your study. Each year a small number of internships become available and you will be provided with information about such opportunities and how to apply during the year of your study. As a City Law School student you will benefit from everything the institution has to offer including the Learning Success department and Lawbore, an online resource designed to help you find the information you need for the course modules. All course modules have online depositories through Moodle. You will benefit from City, University of London’s extensive library of hard copy and electronic resources, including its comprehensive database of domestic and international caselaw, legislation, treaties and legal periodicals. 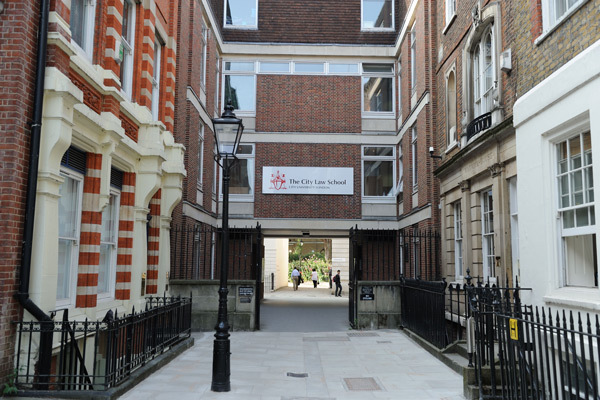 There are two law-specific libraries – one at the Gray’s Inn campus and one at our Northampton square campus - with individual study spaces and dedicated rooms for group work. Additionally, we are a short walk away from the British Library and the Law Library of the Institute of Advanced Legal Studies. This course is taught by leading academics as well as visiting practitioners including barristers and solicitors who work in private practice and in legal departments of major companies. All modules are structured as ten weekly two-hour seminars which comprise both lectures as well as interactive tutorials. All modules are supported by our online learning platform - Moodle. Assessment is by way of coursework which comprises 100% of the final mark in each module. Each module carries the same weight in terms of the overall qualification. You will be allocated a dedicated supervisor for your dissertation who will help you develop a specific topic and provide support in terms of resources, content and structure. As with all Master of Laws (LLM) specialisms at City, University of London, you may take either five modules and a shorter dissertation (10,000 words) or four modules and a longer dissertation (20,000 words). All modules are of the same duration and are taught per term (September – December or January – April) rather than the whole academic year. If you take four modules you will take two per term in each term and if you take five modules will have three in one term and two in the other. Dissertations are written during the summer term when there are no classes. In order to obtain this specialism, you must choose at least three modules from within this specialism and write your dissertation on a subject within the specialism. For your remaining modules you can choose from more than 50 modules covering a diverse range of subjects. As a graduate of this specialist Master of Laws (LLM) in International Human Rights, you will be well placed to pursue careers in this area of law in private practice, in-house in a law firm, policy and government, non-governmental organisations and a wide range of non-legal careers in the human rights field. The City Law School has a vibrant Pro Bono programme including our award-winning commercial law clinic for tech start-ups Start-Ed. Students who complete the Master of Laws (LLM) may wish to continue their academic studies by enrolling in a PhD offered by The City Law School.